I’ve wanted to try out shu uemura’s Cleansing Oils when I read about it a few years ago. Work, pregnancy and motherhood tend to make you forget stuff like this! Thus, I jumped at the chance of visiting the shu uemura outlet in Midvalley when I was there to shop for medicines, books and other supplies. When the boutique manager / make-up artist asked if I had combination skin with an oily T-zone, I said yes but added that I’m living in a dry climate now. 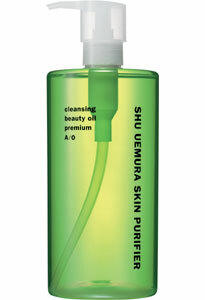 #1 selling shu uemura Cleansing Oil in the world. Two-in-one cleanser and make-up remover. A premium, anti-aging and anti-oxidant skin purifier that thoroughly cleanses the skin while protecting it against the internal and external aggressions associated with aging. With dry hands, she pumped twice and smoothed the oil over my hand. Then, she applied water to emulsify the oil and gently massaged my hand. Finally, she rinsed it off with cold water. + my face felt soft and clean, without a tight feeling and it’s NOT OILY at all! 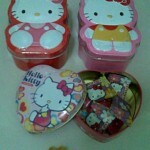 + it also doubles as a gentle make-up remover for the eyes, cheeks and lips, which you can easily rinse off. Retailing at RM280 (450 ml), it feels expensive but if it succeeds in keeping my face dewy soft and youthful in the dry autumn and winter air, I’m gonna be a fan! UPDATE: shu uemura seems to have undergone some organizational changes and the AO (antioxidant) cleansing oils have been discontinued. me too have combination skin but i hardly have blackheads coz i am using cellnique pro sebum gel which is good in removing blackheads. Wen – I’ve seen Cellnique around but never thought of trying. I should check it out 🙂 Hope it’s not as pricey as shu uemura? hi, i am using Cellnique Vital Repair Cleansing Milk as double cleansing and make up remover which is awasome! not oily at all, you should give it a try. RM119 for 200ml i think. you might wanna check out the Cellnique website page for more info. Kit: Hi, this is the second time I’m referred to Cellnique. I’ve got to check this brand out. Thanks.